I’ve been following HH on twitter and facebook for a little while now and was curious to try one of her recipes. They’re always straightforward with a short list of common ingredients and a simple preparation. 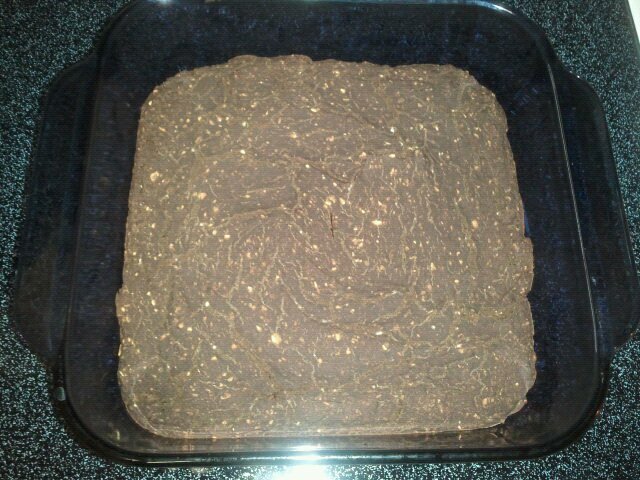 I figured I might as well start with her incredibly wholesome sounding black bean brownies. 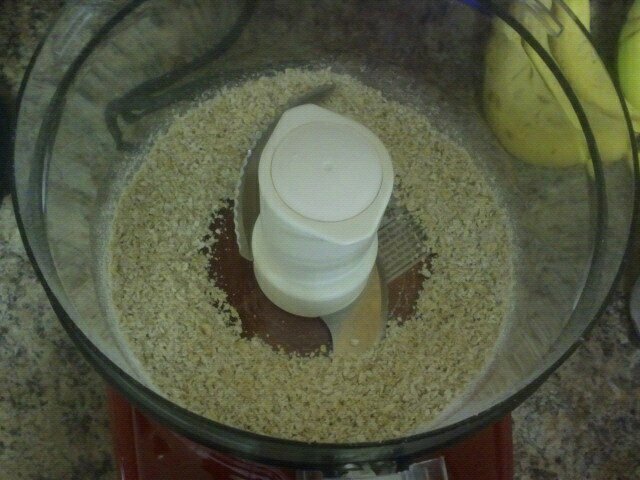 I used the method of processing the rolled oats down to a finer texture that she suggested, using the additional 1/4 c. to bring it up to 1/2 c. of oats. I also used 2 tbsp. 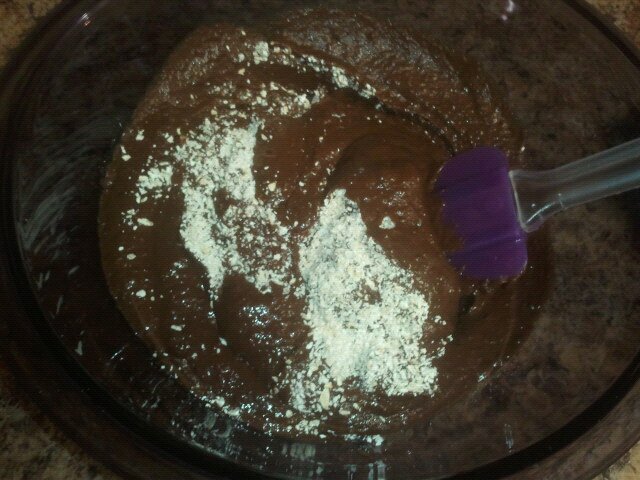 of the optional sugar and doubled the vanilla to 2 tsp. Although my knife came out clean after 30 minutes, they were still pretty sticky on the bottom, so I threw them back in for an additional 5 minutes. They were still pretty moist underneath. I put them in the fridge to finish cooling and to firm up a bit. 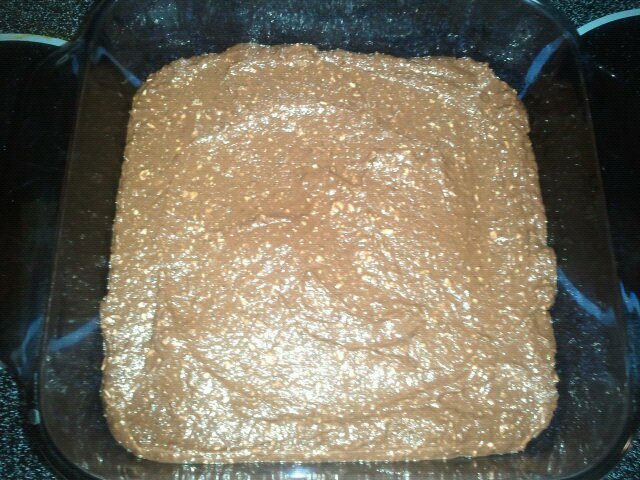 Results: Well, you can’t really pass them off as real brownies, so definitely know that! It’s a lot more like very cinnamon-y banana bread with a hint of cocoa. The only thing “fudgey” about them is the texture, and that was with the extra 1/4 c. of oats, so I’d definitely include it.The black beans are fairly undetectable, as promised, but the cinnamon was a little overwhelming for me straight out of the oven. After refrigeration it mellowed though, and they were fine cold. With a nutritional profile of 85 calories, 1g fat, 16g carbs, 4g protein for the base recipe, they’re worth trying, as a lot of people really love these, but they’re not for everyone. Additionally, we didn’t finish them, so I won’t be making these again. Okay, well what did I do wrong? 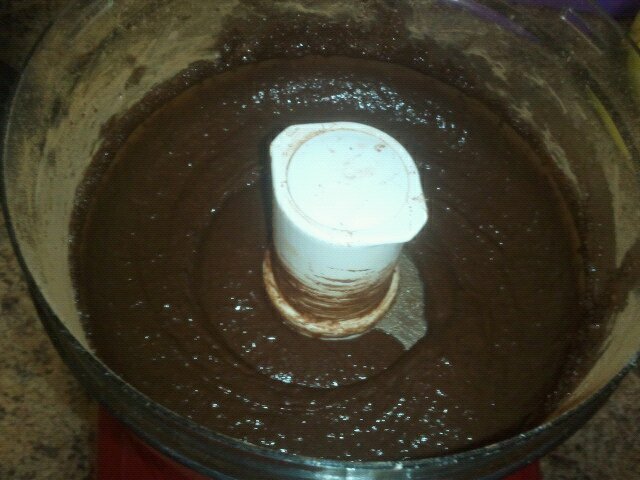 I just made the brownies and they taste like straight up black beans mixed with banana. Uggh. I was SOOOO looking forward to this tasty treat. While I didn’t really think the black bean flavor came through, I admit we didn’t finish these. 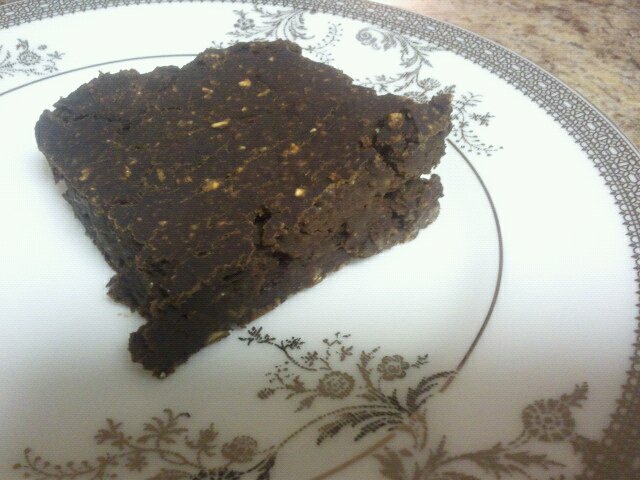 I’d rather eat a real vegan brownie occasionally than subpar brownies more often, but that’s just me. Sorry it didn’t work out for you either! a lot of people really love this recipe, though!